Insadong Cultural Street is a famous old street located in central Seoul. It used to be the center for the antiques business. It has now turned into a souvenir and cultural street where locals and foreign tourists flock day and night. It is one of my favorite places to see while in the area. That is to check out for anything new and exciting that each unique shop is vending. Children & adult gifts, toys, clothing, cards, etc. Palaces--Gyeongbokgung Palace, Changgyeonggung Palace, Biwon, etc. Jogyesa Temple, Cheonggyecheon Stream, Seoul Samsung Tower, Jongno Cafes, etc. Apologies for that long introduction. But if you have read them, then you already know what Insadong is like! Still, I insist on describing a bit more this place. That’s because some readers are looking for more details and make their final decision. Insadong Cultural Street symbolizes the creativity of Koreans regarding producing products relevant for daily human lives. These are not just products but definitely works of art. 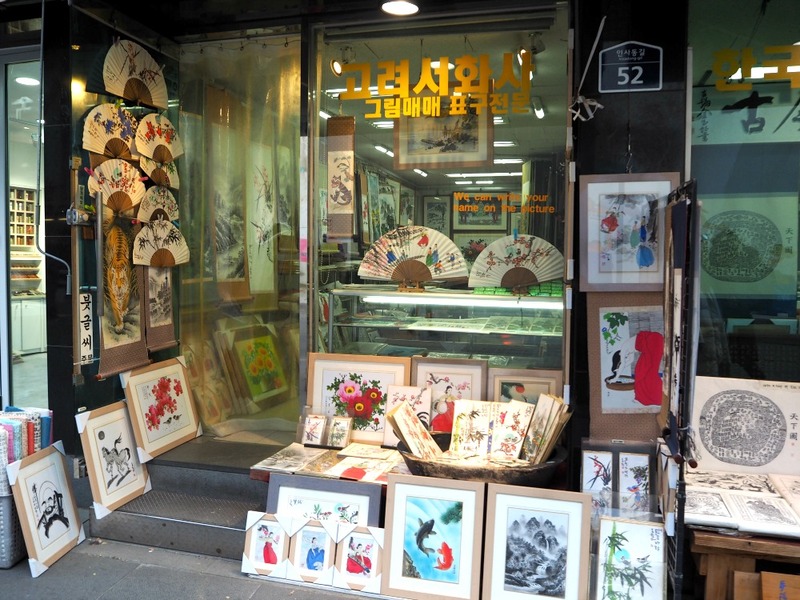 Insadong was once a center for the business of antiques and other cultural items. However, since antique business activity is going slow (as most Koreans prefer now the latest gadgets owing to their technological development), not many people are buying them. 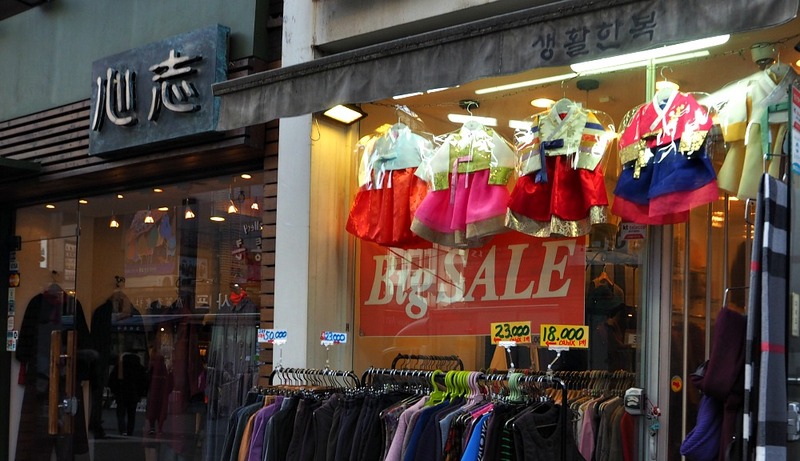 hanbok (traditional clothes), hanji (traditional paper), among other products. Insadong Cultural Street is about 700 meters long that stretches from Anguk-dong Rotary to Tapgol Park in Jongno 2-ga area. 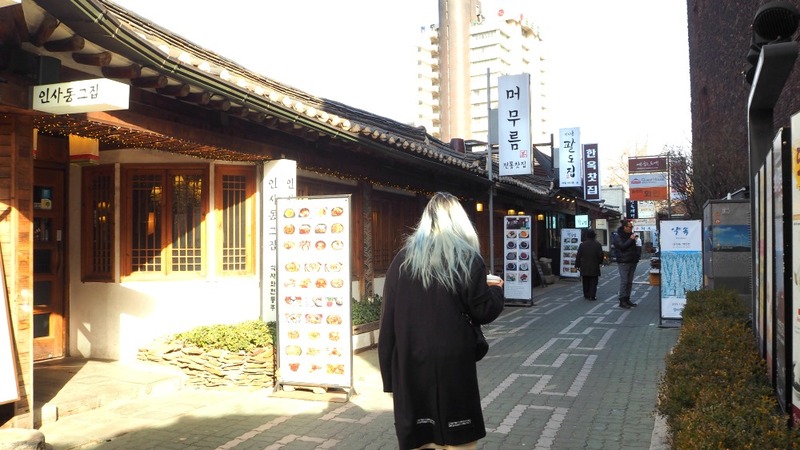 According to the historical record, the street was filled with Dohwawon--the central place for painters--during the Joseon Dynasty in 1392-1910. Although things have changed and one can hardly see painters in the area, still, it is considered the center for arts, artisans, and artists who sell their works there. 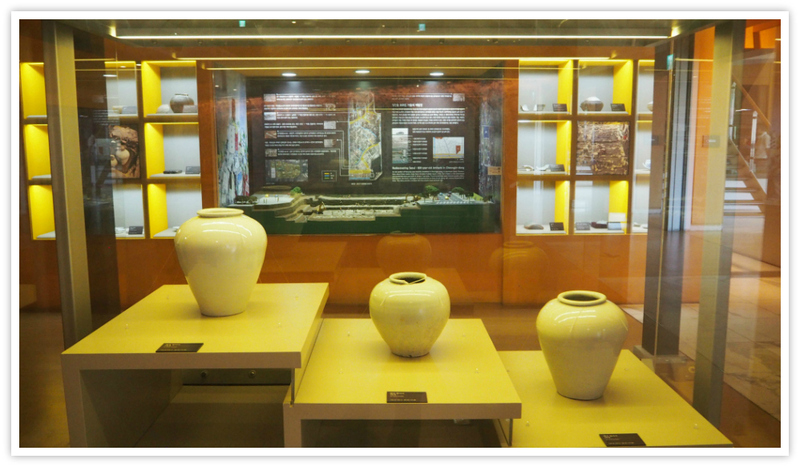 Some antiques can be traced back to the old Three Kingdoms Period (57 B.C.-66 A.D.). 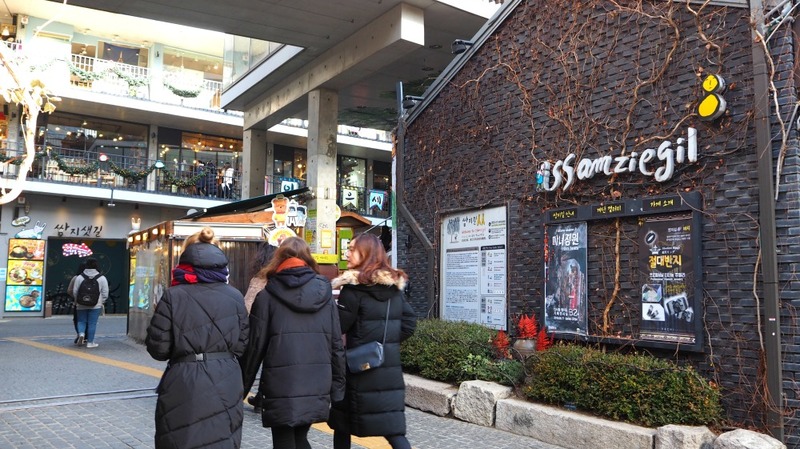 In other words, Insadong Cultural Street offers visitors opportunities to have a glimpse of how the older street used to be--the center of traditional culture and arts. At times, special art events and festivals are performed along the street. Cars are not allowed to pass through this street especially during weekends. About 100 meters from Ssamjigil Building (a building with spiraling and upward steps which has various items, coffee shops, snack shops, etc.). This traditional house style information center offers services including interpretation, tourism information, internet access, and other cultural programs including wearing the Hanbok. 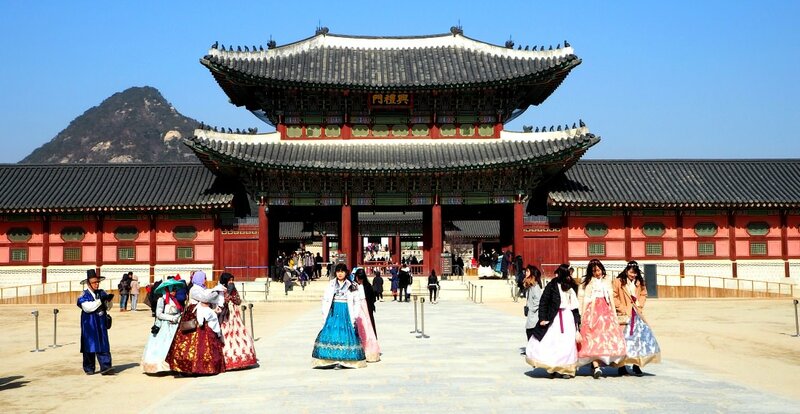 If you want to learn more about the Korean culture, you can listen to some recordings about Korean culture in different languages including English, Chinese, and Japanese. This center is located in front of Nam Insa Madang, which offers interpretation service. Leaflets on tourism are also available here. It is at Exit 6 of Anguk Station, Subway Line 3. The staff offers tourism information, interpretation, and information on lodging and entertainments. Payment is collected every four hours up to 12 hours. After 12 hours, payment is charged once every 12 hours. You may pay your storage using T-Money Card (electronic transit card) or other new tourism cards, credit card, or cash. Now, since you have seen how Insadong looks like, you might be interested in visiting the area. From Gwanghwamun, head towards Gyeongbokgung Palace then turn right and continue until you reach a crossroad. Before you cross that crossroad, you will see a gigantic paintbrush just across where you stand. The street towards the left is Insadong Cultural Street. Just ask if not sure. But certainly easy to find. You are at the heart of Seoul. Therefore, you don't worry about finding more interesting places nearby Insadong Street. 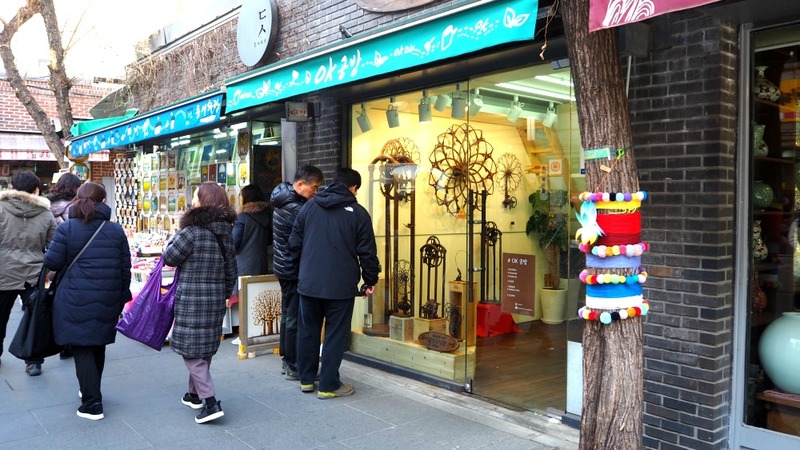 In any direction from Insadong, you will find historical sites, tea or coffee shops, parks, shopping centers, or palaces. Jongno Avenue (main road with lots of establishments), and more. If you have questions about the street, please let me know. Or, any question at all! Thanks for reading this article. Have fun!